Someone mentioned this on MW Forum a few months back and after being on a waiting list with the Australian distributor for 2 months (who couldn’t give me an actual ship date but required prepay for product + freight!?!) I finally requested a refund & bought one off eBay & had it here a week later! 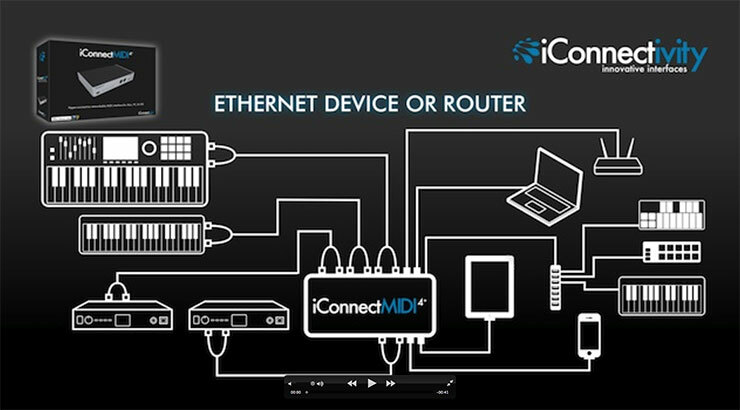 So what exactly is it – another MIDI interface? 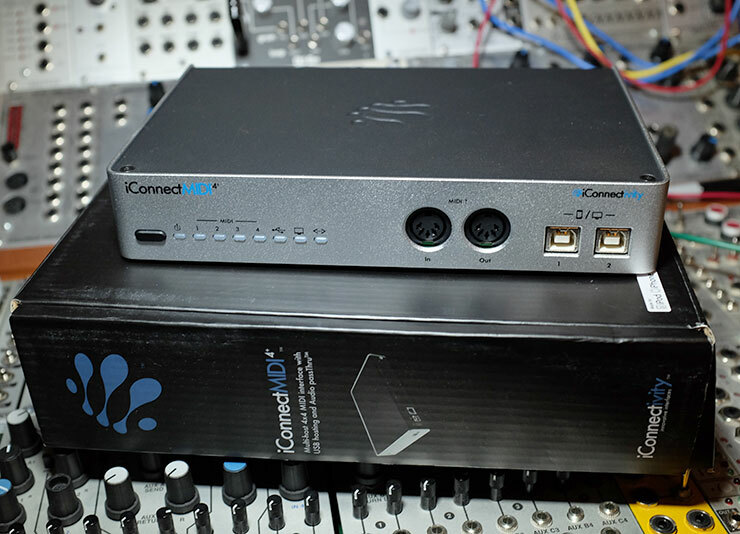 Well yes and no… It is an iConnect MIDI4+ and it expands MIDI connectivity in a number of unique ways – unique enough that it made me order one! First of all, it is a multi-host interface. So for example I have a Mac Pro Tower running alongside a MacBookPro and I use both Macs all the time. Both have ProTools, ableton LIVE, Numerology and a bunch of other apps installed, but ideally I want to share all my controllers and keyboards between both computers and this new interface can handle not only that, but it also connects to my ethernet network and can wrangle MIDI over ethernet from/to any device from/to either Mac. Excellent! But wait, theres more! Expansion-wise if 4×4 isn’t enough MIDI/USB connections, you can also hang a powered USB hub off it and add another 8 MIDI devices..
9 Responses to Remember MIDI? Thanks for posting this. I’ll be interested to see how it works out for you. I’m a bit surprised that you aren’t interested in the audio side though, as, ( if you’ve already got it connected and set up for MIDI anyway) to be able to pump audio from ipad apps directly into Ableton etc just by plugging in the USB cable avtually seems pretty hip to me. I am open to trying it, but here’s the thing: I see my iPad as a (sometimes) interesting controller, but when it comes to creating audio does it really compare to what my MacPro or MacBook can do? I haven’t yet used an app on my iPad that made me want to record it… And if I am in my studio (which is where this device is) that iPad is also competing with a modular synth. What is the killer app, that warrants piping audio from my iPad, given the alternatives I have at hand? But in general I would say that the real interest of the iPad isn’t trying to use it instead of a DAW ( and certainly not instead of a modular – I have a eurorack setup similar to yours, so we can agree on that 😉 ) but more like just playing around with ‘toys’ when you aren’t in the studio, finding little bits of good stuff here and there, that you can come back to later when you are back in the studio – and being able to inject them ( more) painlessly into Ableton would be a big plus for me. * there are many, many toy drum/rhythm machines, with some combination of sound and swing that sets them apart. my current favorites are Korg’s Gadget and the stoopid fun Loopseque. Will do! I’m picking 4 x 30ft MIDI cables tomorrow, there will be MIDI everywhere! !